In the short essay I submitted as part of my Canada C3 application, I chose to reflect on a theme which resonates with me on a personal level: diversity and inclusion. 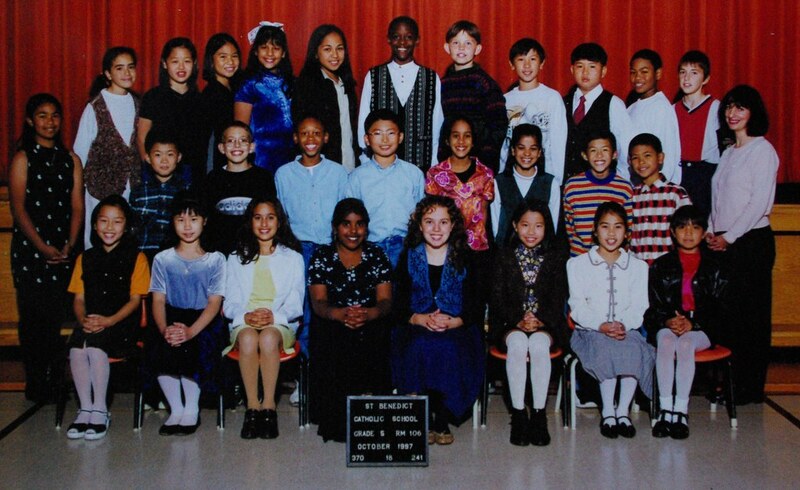 My elementary school was full of mainly first-generation children from a diverse array of backgrounds. This is a photo of my grade five class in 1997. I am from the most diverse city in the world. Toronto – a metropolis where over half of the residents, my parents included, are born outside of Canada. Yet as a young child, I didn’t realize how unique this environment was. I had no idea that growing up amongst mainly first-generation peers whose parents had come from countries such as Sri Lanka, Poland, Egypt and China wasn’t common in many other parts of Canada. I took multiculturalism for granted. Consider this an uncensored diary entry of sorts. Political correctness isn’t something I necessarily expect of others, but once in a while, exceptions must be made. Taiye Selasi thinks so, too. In her talk Don’t ask where I’m from, ask where I’m a local, she says: “Our experience is where we’re from.” She also admits her biggest problem with ‘coming from’ countries is the myth of going back to them – something I can definitely relate with.